Unique New Book Brings Together Literature Exclusively from Deaf and Disabled writers. Unique New Book Brings Together Literature Exclusively from Deaf and Disabled writers. 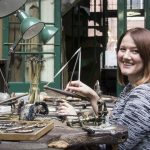 A unique book collating new writing by people living with deafness and disability will be officially launched this week (Saturday June 3). 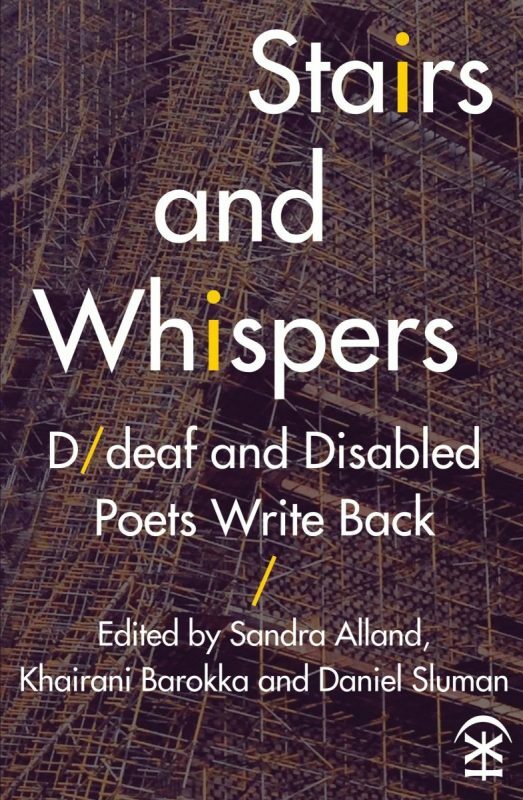 The first of its kind in the UK, the collection titled ‘Stairs and Whispers: D/deaf and Disabled Poets Write Back’, will be unveiled at Birmingham City University at a special launch event featuring a selection of readings from the anthology. ‘Stairs and Whispers’’ release comes five years after its US counterpart ‘Beauty is a Verb’, which was heralded as a ground-breaking step both in raising awareness and bringing a new readership to its writers. Edited by Sandra Alland, Khairani Barokka and Daniel Sluman, the UK anthology brings together a mix of surrealist poetry, hard-hitting political commentary, intimate lyrical writing and survival strategies for those living with deafness and disabilities. 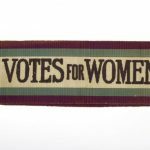 The book will be officially launched on June 3 at Birmingham City University’s Curzon Building, following a series of talks, film screenings and readings from the book. The Institute of Creative and Critical Writing exists to cultivate the literary arts and the life of ideas. Based within the School of English at Birmingham City University, it both enriches the University’s creative writing programme, through its series of masterclasses and guest author seminars, and engages with the wider culture beyond the University, through its calendar of exciting public events. The term ‘D/deaf’ is used to describe those who are sign language users (Deaf) and those who are hard of hearing, but who use English as their first language (deaf). The anthology has been published by Nine Arches Press. “We hope these poems, essays, recordings and videos will spark much-deserved interest in, and discussion about, the specific kinds of brilliance that form disabled and D/deaf poetics.